Miami Heat CHAMPIONSHIP Parade Announced! MIAMI!!!!!! ARE YOU READY TO CELEBRATE THE CHAMPIONSHIP EVERYONE HOPED WE WOULDN’T GET?!!!!! LET’S DO IT! The celebration will take place monday from 11am – 12:30pm . The parade will begin at Southwest Eighth Street and Second Avenue, travel east on Eighth Street and then turn north on Brickell Avenue. It will cross the bridge and go north on Biscayne Boulevard and into the American Airlines Arena via Northeast Eighth Street. 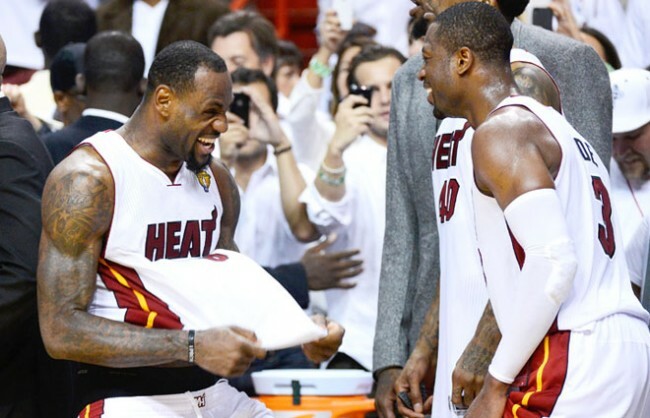 Next Top 10 Miami Heat Photos Via Instagram! Vote For Your Favorite Now!